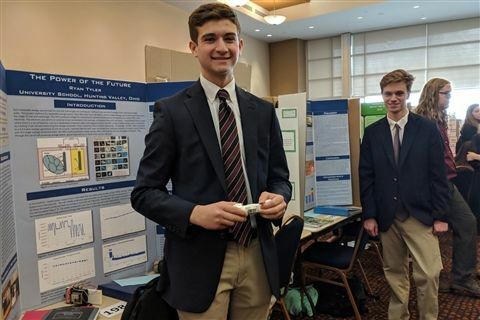 This past week, US boys presented their science research at The Ohio Academy of Science District Science Day at the University of Akron, where University School won the Outstanding High School Award, and 16 students advanced to compete at the state level. 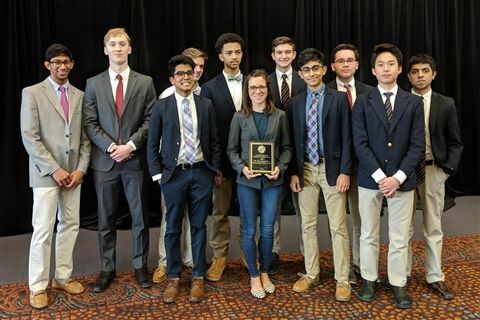 Twenty-one US students – 16 upper school and five middle school – qualified to compete at districts, and 14 upper school and 2 middle school students advanced to compete at State Science Day in Columbus in May. 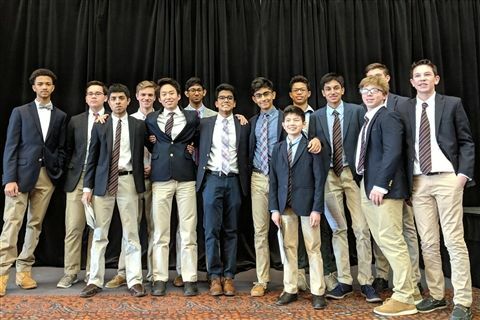 In addition, Bryan Rego ‘19, Neel Agarwal ‘20, Sai Karnati ‘20, and Maheep Brar ’19 advanced to The Ohio Academy of Science’s Buckeye Science and Engineering Fair in April, where students compete to earn a bid to the International Science and Engineering Fair in Phoenix in May.